Taiwanese President Tsai Ing-wen said Taiwan will never accept the policy of “one country, two systems,” which Beijing sees as the best way to bring about the “reunification” of China and Taiwan. Tsai was speaking to reporters on Wednesday. Her remark came in response to Chinese President Xi Jinping’s speech in Beijing earlier in the day. Xi said the “one country, two systems” framework is the best approach for reunification with Taiwan. Xi proposed dialogue with political parties and other groups in Taiwan. 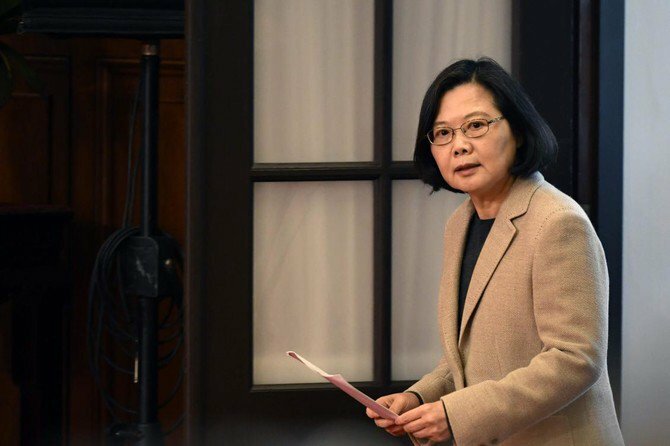 Tsai said most Taiwanese people firmly oppose the framework. She added that this is a common view in Taiwan. She also said that political parties and other groups should not represent Taiwan in talks with Beijing. She stated that political discussions and negotiations should be conducted by authorities who have been given a mandate by the Taiwanese people to do so.